Back with the final installment of this three part series! Back in your ear buds today with Dan and Tega talking about why you can’t do it alone. Take a look around at all people you see as successful in the world today. Guys like Steve Jobs, Bill Gates and Richard Branson. All Innovators of the world. Are you where you want to be when it comes to both business and personal development? So many people today are riddled with fear. The fear of what ‘might’ happen if they show up to the world raw and unfiltered. In today’s short insightful episode, the Beast gives you his take on the word ‘hustle’ and why there’s no such thing as an ‘overnight success’. Interesting episode with The Bearded Beast today. The title of Dan’s favorite book is the topic of today’s show. And yet, you won’t often hear people talk about it for two simple reasons: It’s unsexy and it’s boring. 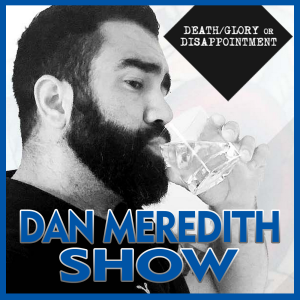 Death, Glory or Disappointment Season Three is here! What’s that? You thought it’d never happen? You waited and waited and waited…. and then gave up?